If I open the gnome-terminal within the gnome-terminal, the newly created terminal automatically gets disowned from the parent. Some other applications do not. How to simulate that behavior? How to not disown the new created terminal? EDIT: For some reason, if I add the '--disable-factory' flag I get exactly the effect I want to get. Maybe there is something wrong with my config files. Not the answer you're looking for? Browse other questions tagged process gnome-terminal disown or ask your own question. Why do multiple instances of Mate-terminal have the same PID? How to use `gnome-terminal` with new client/server architecture as wrapper? How do I get rid of the small nub in the bottom right corner of my terminal? UDEV-rule:Open new gnome-terminal window on usb-plugin AND activate it for stdin/stdout/stderr? 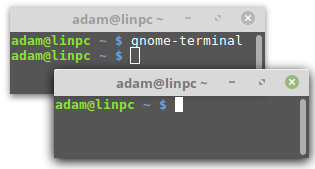 How to explicitly set the tabname of a new gnome-terminal? 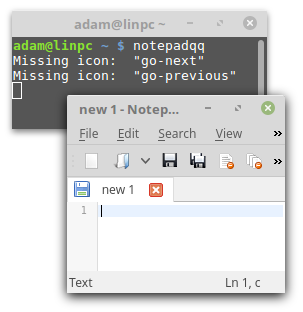 How to change secondary font used by gnome terminal?